Here’s one lesson I remembered from Josh Kaufman’s The Personal MBA: Master the Art of Business. 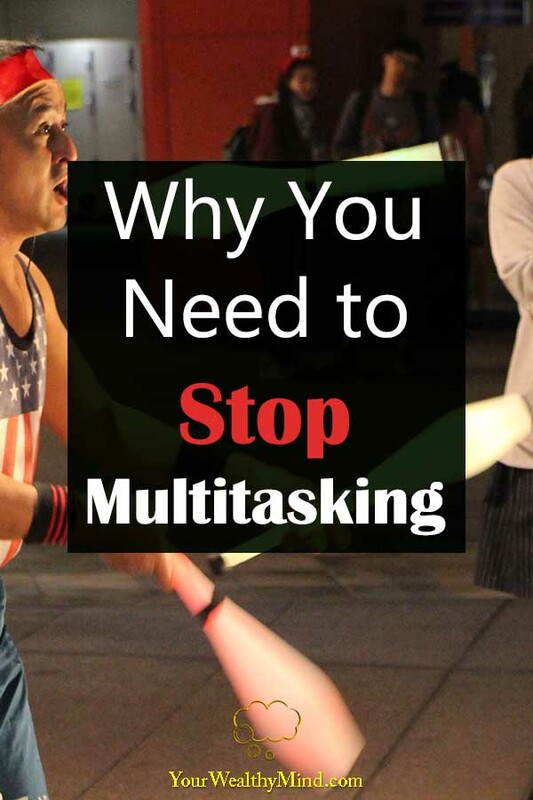 Multitasking isn’t really doing a lot of things at once. It’s actually just you switching your attention from one thing to another… and that makes things WORSE. Imagine booting up one computer to work on a project for a minute, then shutting it down and booting up another one for another project for another minute then shutting that computer down to boot up the first one and continue working on the first project. You’d need a lot more time and effort if you want to complete both projects using that method. While that example is a bit exaggerated, you’d likely understand the idea behind it. You’ll face something called “cognitive switching penalty” every time you switch tasks, and remember, multitasking is actually just switching between tasks at a rapid pace. It’s not “doing things at the same time”. So how do you fix that and actually become more productive? Simple. You must learn to work on one thing at a time. Instead of using miniature amounts of time for each task to look like you’re doing them “at the same time”, dedicate larger blocks of time to the most important things that you need to do one at a time. The more you dedicate for each task, the more likely that you’ll reach the mental state called “flow” where you’ll have maximum concentration and skill while working on whatever you’re doing. Think of it this way. A basketball player who is 100% concentrated on playing the game will perform MUCH better than the other player who is doing their math homework on their left hand while dribbling the ball on their right during the championship match. Try to remember THAT mental image when you think about multitasking and doing a lot of things at once. If we want to truly be more productive in life, we have to learn how to concentrate on important tasks and work on them one at a time.